Movie goers will be whisked back into the wizarding world of the Harry Potter-verse this weekend when J.K. Rowling's Fantastic Beasts and Where to Find Them magically appears across theater screens. 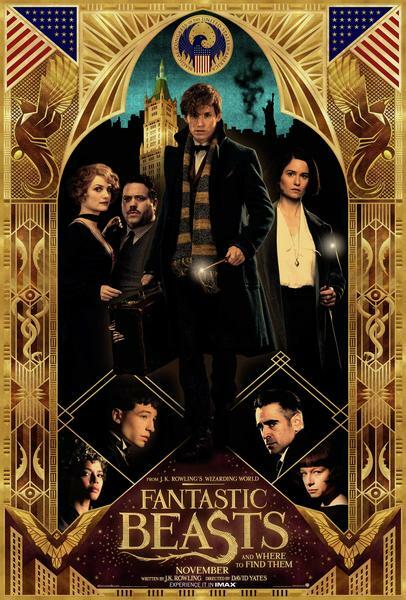 The story takes place sixty years before a certain boy wizard would begin his own adventures, when Magizoologist Newt Scamander arrives in New York for a brief stopover. However, when his magical case is misplaced and some of Newt's fantastic beasts escape, it spells trouble for everyone. Fantastic Beasts has all the trademark epic action and adventure you would expect from Rowling, but you don't have to know what a Muggle is to enjoy the world she has built or to be invested in the characters she has created. As with any good fantasy story, with any luck, it transports you away from the madness of our modern world—if only for a brief period—to strange new places with endless possibilities, while also being a sober parable about the inherent evil found in the real world. For example, The New Salem Philanthropic Society, a group of extremist Muggles, capitalizing on the fears of everyday non-wizarding folk in order to push through their own agenda of hatred and intolerance... sounds like it was ripped right from today's headlines. The quintessential fairy tale and one of the first and foremost fantasy film adaptations of all-time. 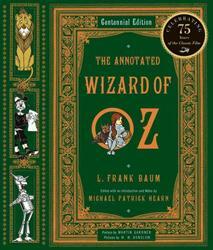 Michael Patrick Hearn, the world's leading Oz scholar, provides fascinating annotations in this book that not only reacquaints readers with Dorothy, the Tin Woodman, Scarecrow, Cowardly Lion, and other inhabitants of the land of Oz, but also explores numerous contemporary references, provides character sources, and explains the actual meaning of the word "Oz." A facsimile of the rare 1900 first edition appears with the original drawings by W.W. Denslow, as well as 25 previously unpublished illustrations. A must read / see, whether you are revisiting this classic or introducing it to someone for the first time. 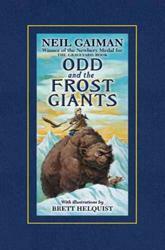 Fantasy fan favorite author Neil Gaiman puts a new spin on Norse mythology and creates new, magical worlds from the old. In a village in ancient Norway lives a boy named Odd, and he's had some very bad luck: His father perished in a Viking expedition; a tree fell on him and shattered his leg; the endless freezing winter is making villagers dangerously grumpy. Out in the forest Odd encounters a bear, a fox, and an eagle—three creatures with a strange story to tell. Now Odd is forced on a stranger journey than he had imagined—a journey to save Asgard from the Frost Giants who have invaded it and restore peace to the city of gods. There's been no film or television adaptation for this story yet, but here's hoping someone will sooner rather than later! 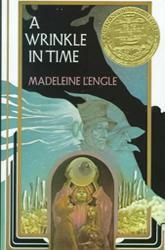 The sci-fi fantasy world introduced in the A Wrinkle in Time series takes characters and readers through time and space. When a government scientist goes missing after working on a mysterious project called a tesseract, his daughter and son, with the help of their friends, must go on a fantastic adventure to save him in an ultimate battle between good and evil. Disney is currently in production on a big screen adaptation, time traveling into theaters in 2018. When a scrappy alley cat named Aldwyn passes himself off as a magical animal companion to Jack, a young wizard in training, Aldwyn and his fellow "familiars," a know-it-all blue jay and bumbling tree frog, must save the kingdom after the evil queen of Vastia kidnaps Jack and two other wizards. 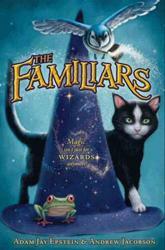 The Familiars series was supposed to be adapted into a full-length animated feature in 2010, but was scraped in favor of a live-action adaptation... which has also unfortunately still to see the light of film projector. And finally, when you're ready for a fantasy fiction overload, you can dive in to all seven books in the Chronicles of Narnia series. 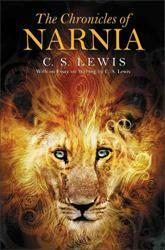 This edition presents all of the unabridged Narnia adventures in one impressive volume. The books are presented here according to Lewis's preferred reading order, each chapter graced with an illustration by the original artist, Pauline Baynes. This edition also contains C. S. Lewis's essay "On Three Ways of Writing for Children," in which he explains precisely how the magic of Narnia and the realm of fantasy appeal not only to children but to discerning readers of all ages. Even after you are finished reading, you can stay in Narnia a while longer, if you wish, by watching all of the different film and television adaptations. Browse our catalog for more Fantastic Fantasy and other magical genres to escape into (if only for a little while).